Rufus got his stitches out yesterday (Friday) – yippee! The wound looks great, but we were reminded that we can’t bathe, play at the beach or do any excessive licking in that area for THREE MORE DAYS, sigh. So, we’re very close but not completely out of the woods, just yet. The countdown continues. Funny story. Since the community has been so supportive I wanted y’all to be there with us as the stitches came out. 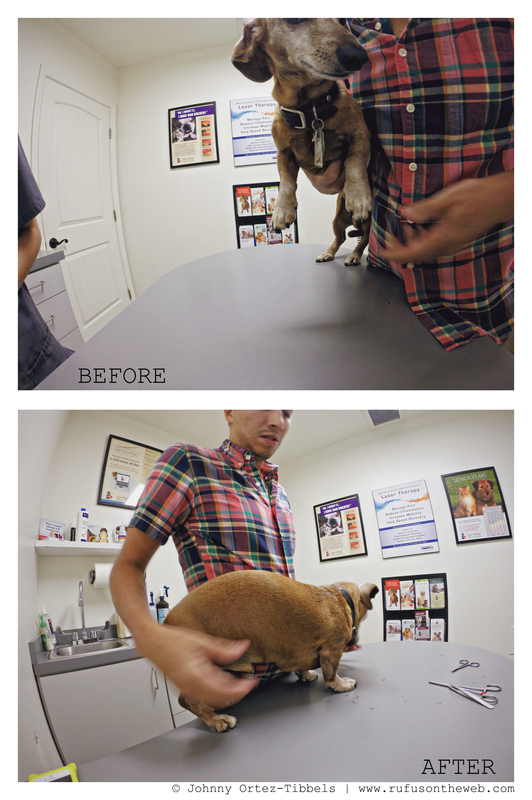 I had my GoPro in tow and the vet staff was super cool about letting us record it. However, I recently updated my GoPro and a few features changed a little – which confused me at the time (though make complete sense now) so… instead of recording the grand event, I got two photos: the before and after. D’oh! I thought it was recording and instead it was on “photo” so when I click the button to start and stop, those are the two shots I got. Some of the best intentions and laid plans sometimes just don’t work out (for me). I did manage to grab this video of Rufus enjoying a car ride around town. It was his ride to the vet to get those pesky stitches out so it was particularly special. Quick caveat: allowing our dogs to ride in the front seat, hanging out of the window without a seatbelt is nothing we recommend or endorse. 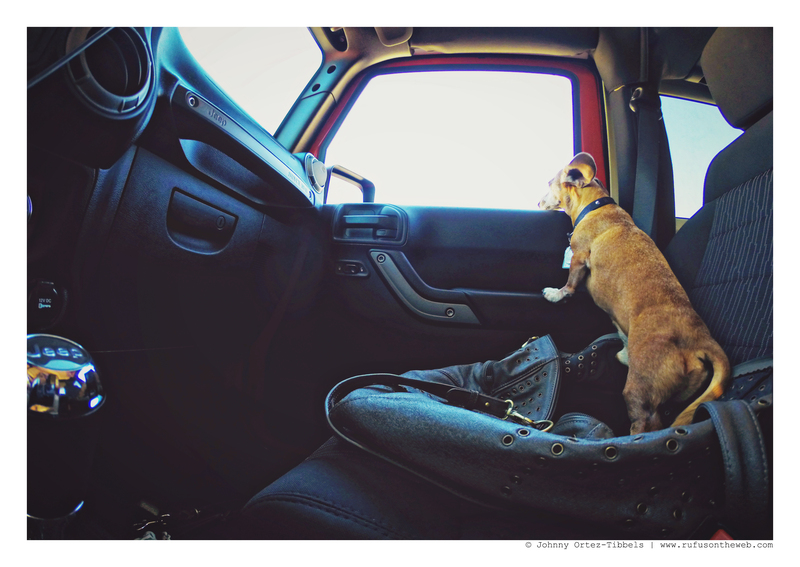 Generally when traveling long distances my pups usually ride in the back. Nonetheless, Rufus does love the wind in his ears and snout, and it was a special treat for my little man as we were driving less than three miles to the vet. I do love to give him what he likes, when I can. Okay friends. Thanks again for all the love and kindness. Have a wonderful weekend. This entry was posted in Rufus and tagged #ADachshundsLife #HappyHounds, #AdventuresWithDachshunds, #dachshund, #Dog, #HappyHound #PamperedPooch #PreciousPup, #RedDachshund #RedRegalDachshund, #smooth dachshund, #WienerDogs #HotDogs, doxies. Bookmark the permalink. I had lunch with Brian and Susie today in Palmdale. I asked how Rufus was. Now Leo needs sympathy. He had one really big tooth pulled that was cracked. Poor boy. So glad that your sweet Rufus is doing so well! Gary Cooper and Greta Garbo( my 2 mini red doxies) send your gang lots of get well “pup-kisses”.